We are a leading Manufacturer of ss steam valve, steam trap, oil burner solenoid valve, solenoid valves, non return valve and heavy duty safety valve from Gurgaon, India. We are manufacturing and supplying SS Steam Valve. It has good durability. Advanced technology and modern equipment are used in its manufacture. It has a tight grip and is very easy to use. It is reliable and does not cost much. We customize our products as per the needs of our clients. 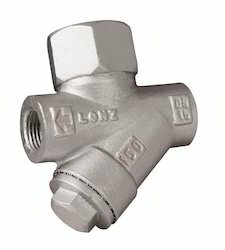 SS Steam valves can work under high steam pressure temperature. These products are used for regulating the flow of gas. 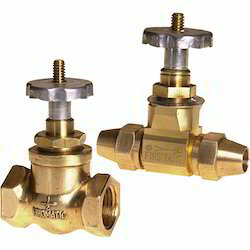 We are engaged in manufacturing and supplying of Steam Trap. Our team of skilled experts design this product with latest technology and equipment. It is made up of high-quality stainless steel. It comes in an affordable price range and is very reliable. 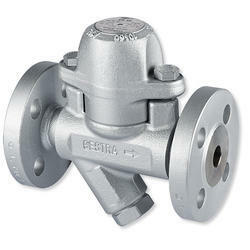 The steam trap is the essential part of any steam system. The function of a steam trap is to discharge condensate. The correct steam trap is important for the efficiency of a system. Valve Size 1/8", 1/4", 3/8", 1/2", 3/4", 1", 1 1/2", 2"
We are the manufacturers and suppliers of a wide range Oil Burner Solenoid Valve. These are manufactured using high-quality raw materials, cutting age technology and are further sent to a number of quality checks as we believe in providing our customers with optimum quality goods. We are one of the leading manufacturers of the Solenoid Valves. 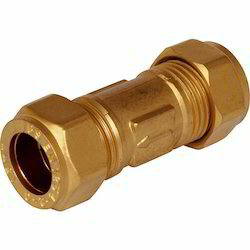 These valves are made up of brass or iron and are very strong and durable. These valves can bear temperature up to eighty degrees. These are highly corrosion resistant. 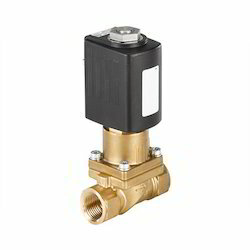 The Solenoid Valves we manufacture have good functionality and efficiency. To live up to the reputation we provide high-quality Solenoid Valves manufactured using high-quality raw materials and even send them for a number of quality checks. We are engaged in manufacturing and supplying of Non-Return Valve that is mainly acknowledged because of its high quality. Our nonreturn valve is customized into vertical and horizontal direction. Nonreturn valve is highly appreciated because of its reliability, corrosion resistance, and durability. Nonreturn valve is available in various shapes and pattern and is used in various industries. We are one of the leading manufacturer and suppliers of Heavy Duty Safety Valve. It allows the medium to flow in one direction. Our heavy duty safety valve is capable of dealing with pressure. It is mostly demanded by modern plants and has high capacity and is available in different sizes. It is applicable to steam boilers and generators, tanks, autoclaves. 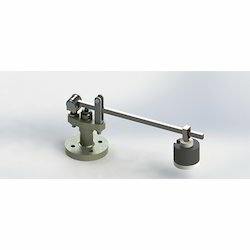 We are among the leading manufacturers and suppliers of a quality range of Safety Valve with Lever. It is made of high-quality stainless steel. This product is certified as per the international standards and has a long life. It is highly used in pharmaceuticals, food, and cold drinks. It is durable and it prevents the dangerous pressure build-ups. It is designed according to API, BS standards. We ensure to make flawless products.